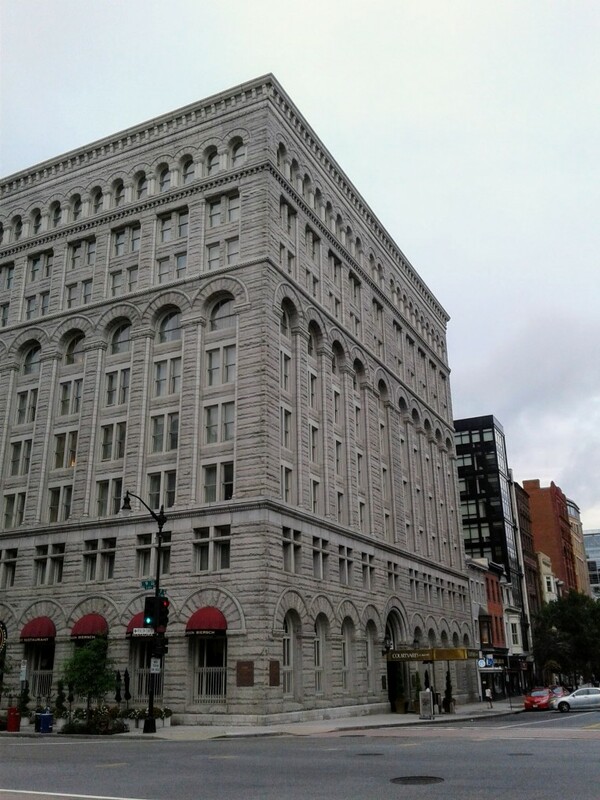 A regular PQ Living reader pointed out to us that the Courtyard Marriott Hotel (900 F St NW) and the Gordon Biersch restaurant on the first floor at the corner of 9th and F St NW will be closing for renovations on November 1. Quick checks show the hotel unavailable for reservations beginning October 31. This is one of the pioneering chain hotels in Penn Quarter having opened in 1999. Almost 20 years is a good run before needing a refresh. This Washington Business Journal article has all the interesting details. Ford’s Theatre Closing for Renovations in June?